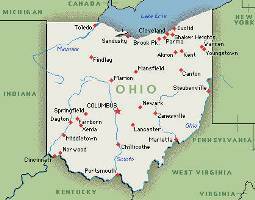 We live in Ohio, so Ohio homeschooling is very familiar to us. 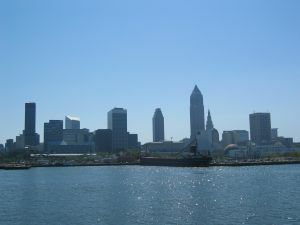 Here is an article that describes what you need to do if you live in Ohio. My comments are at the bottom of the page. Notification to the superintendent each year of an assessment of the prior school year's work. This notification is to be sent along with the notification that the parent is continuing to homeschool. (1) administered by a certified teacher, a person mutually agreed upon by the parents and the superintendent, or a person duly authorized by the publisher of the test to administer the exam; and(2) intended to measure proficiency comparable with other students of the child's grade. A score at or above the 25 percentile shall be considered reasonable proficiency for the child's performance. As an alternative to the test described above, the parents may provide a narrative written by a certified teacher, or other person mutually agreed upon by the parents and the superintendent, of a portfolio of the child's school work. Or the parents may provide an assessment agreed upon by the parents and the superintendent. The parents are responsible for all costs of the academic assessment, except the parents may have the testing done free of charge by participating in the public school testing program. Parents should not take the requirement for academic assessment lightly. If their child fails to demonstrate the proficiency expected by the State Board of Education, then the parent's homeschool is placed on probation and the parents are required to submit a plan of remediation. Continued failure to demonstrate satisfactory proficiency could result in the loss of the right to homeschool. If you would like more information about college and the Ohio homeschooling [http://homeschoolingbasics.info/ohio-homeschooling] as well as general information on homeschooling, please visit [http://homeschoolingbasics.info] These links don't work but I am required to include them here. In Ohio we do not have to notify the school that we intend to homeschool until the child is 6 years old. Basically, we are allowed to homeschool Kindergarten without having to fill out any paperwork. At the beginning of the school year before your school district starts, they want to have a form filled out which lists the basic information about who you are and who your children are. They also want assurance that you will provide 900 hours of instruction along with a list of the curriculum you are intending to use. Don't be intimidated by the 900 hours of instruction. Any interaction with your children, whether it be on the weekends or in the summer counts too. We are constantly teaching our children as we work with them in the kitchen, play games, take them swimming, take them to a play or concert, work in the garden, or many other activities. The list of intended curriculum is just a list of the subjects you will be teaching and what books you intend to use. It does not have to be a curriculum from a package. It can be books and resources.